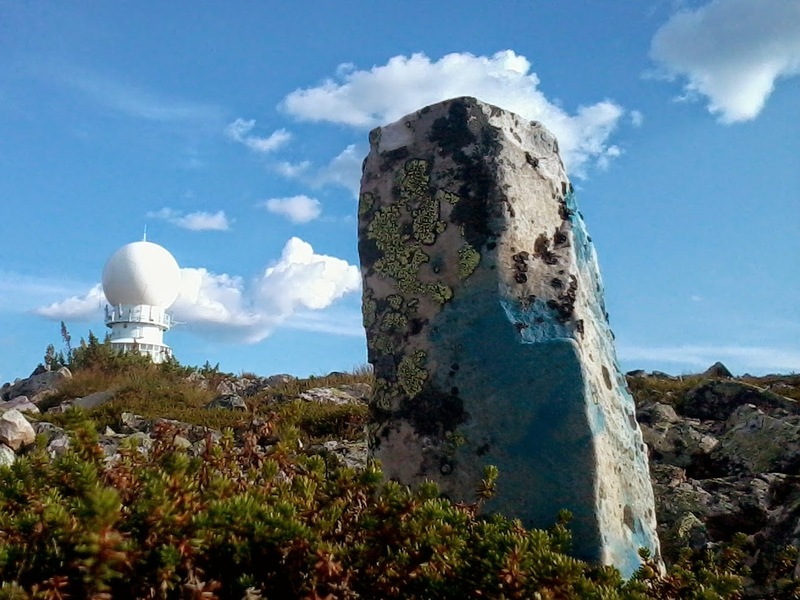 Yesterday we described our walk up the ski slopes of Luosto on that hot summer's evening. But what was at the top? 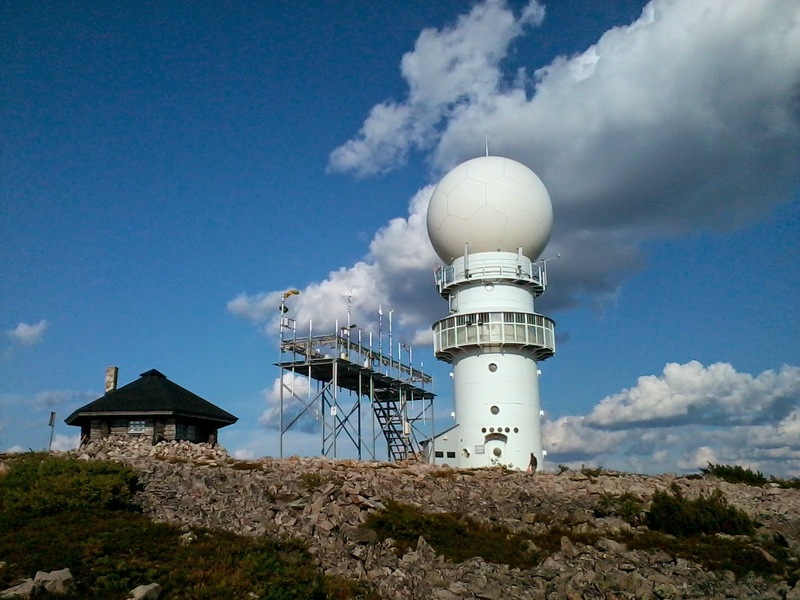 Well, it turns out there is a large weather radar (= säätutka) there. 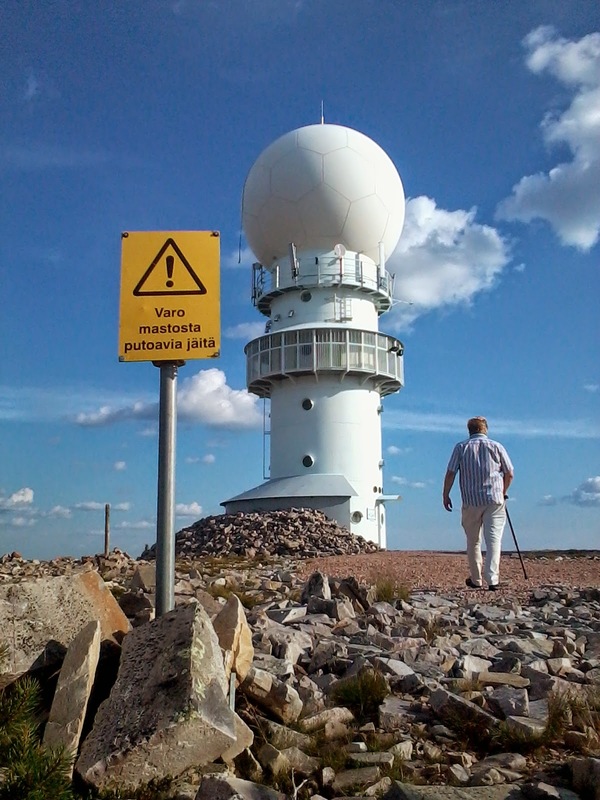 This is operated by our colleagues at the Finnish Meteorological Institute (FMI). It's a really lovely place. A bit like a lighthouse. A pity it is remotely operated, as I'd so love to work in a place like that.